HELSTON ATHLETIC have had no formal approach from Truro City regarding a possible groundshare, despite rumours to the contrary. I would definitely prefer Helston to Bodmin. Although I'd like to see all the improvements they'd need to make at Helston and how much it would cost. So was the Strategic Planning Committee mislead then? They won't like that!! How much of the £2m gifted to the 'club' (as apposed to the £2m ring-fenced by the Council to go towards a permanent site) will be left to spend on ground sharing costs once the owners have, as widely understood, trousered the money as repayments of their loans. I think we know the answer. Didn't Masters mention Helston on radio Cornwall recently? 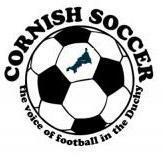 Although Mr Massey has been seen at Treyew Road as recently as New Years Day I pesonally think car parking would be a major problem at Helston, as for Bodmin well we all know what the drainage is like on Priory Park so I think that one is a non starter. I am doing the lottery tonight so all the problems could soon be solved. Glad I'm not the only one who thinks that car parking is a major issue at Helston. Then again, there are other grounds in our league where car parking is poor. Although I've heard the costs of moving to Helston is smaller than the option of moving to Bodmin. Plenty of parking down Malpas.